Elva is a luminous rental loft space located in the established area of Kruununhaka, Helsinki. Discover a hidden gem in the heart of Helsinki. Elva is a luminous loft space located in the established area of Kruununhaka. In this beautiful setting between nostalgic structures, the artisan styling of Elva plays to the tune of the city’s history, while offering a taste of modern design. Take advantage of the fully customizable features of the space and use it to convey an emotion or a brand expression. Consider Elva as a blank canvas – ready to be tailored to fit your specific needs. The adaptable space is suitable for various social gatherings, from commercial promotional happenings to intimate family events. The space is designed as a “blank canvas” that can be activated to serve versatile purposes and altered to convey different emotions. Central location in Helsinki (Meritullinkatu 11, Kruununhaka). Multi-use space of 250 m2 with lots of natural light Capacity: max 80 people (optimal for 60). Open floor plan allows for a various set-ups Furnished or empty according to clients wishes. 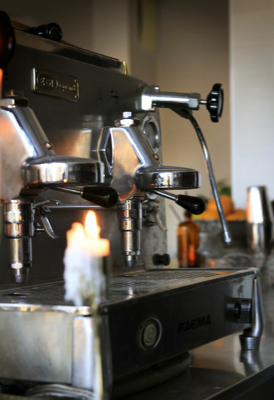 Bar & café readiness, with the possibility of bringing your own food and drinks, or setting up your own catering kitchen. The adaptable space is suitable for various social gatherings, from commercial promotional happenings to intimate family events. In the heart of Helsinki. See latest updates of Elva on Facebook!